Blending the time-honored traditions of golf with modern conveniences, TPC Treviso Bay boasts 18 holes of picturesque and beautifully maintained golf and the personalized service and outstanding privileges that have become synonymous with the PGA TOUR's acclaimed TPC Network of clubs. 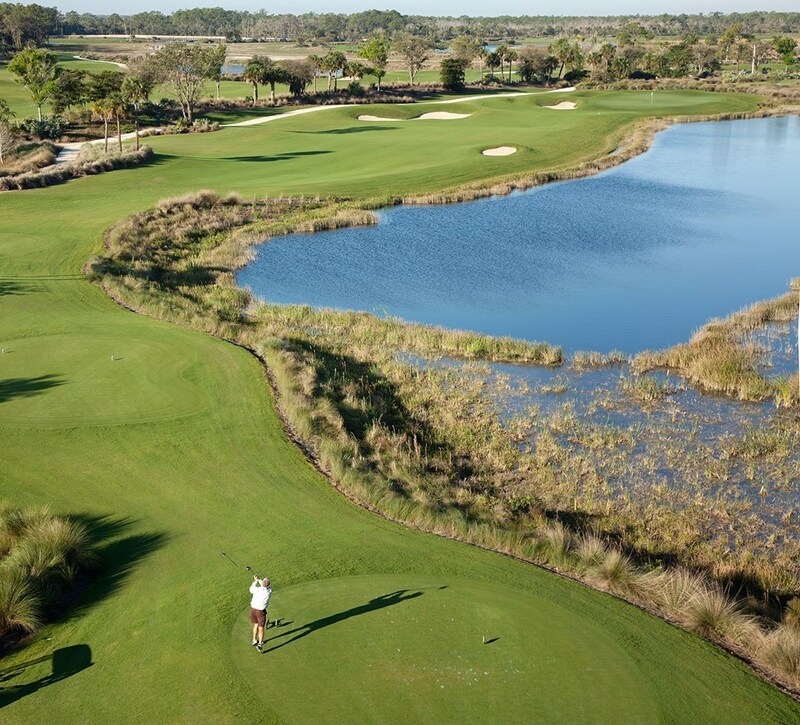 Golfers will experience 18 challenging golf holes set within 300-plus scenic acres bordered by the protected Rookery Bay National Estuarine Preserve. Featured holes are: #3 -"East of Eden", a 167 yard par-3 surrounded on three sides by water, and protected by "Eden" bunker in front of the green; #11 -" Feeling Lucky? ", a 328 yard par-4 (modeled after the famous"Cape Hole" at Mid Ocean Club in Bermuda), that gives players the option of how much dogleg water to cut off to leave a short approach - or chip for very good birdie opportunity; #12 -"Long Way Home", a 582 yard par-5 bordered by lake on left and the Rookery Bay National Preserve on the right with varying play choices to players; #16 -"Drive Carefully", the longest par-4 at 460 yards and where a good approach is needed to avoid greenside runoff areas or deep bunkers. 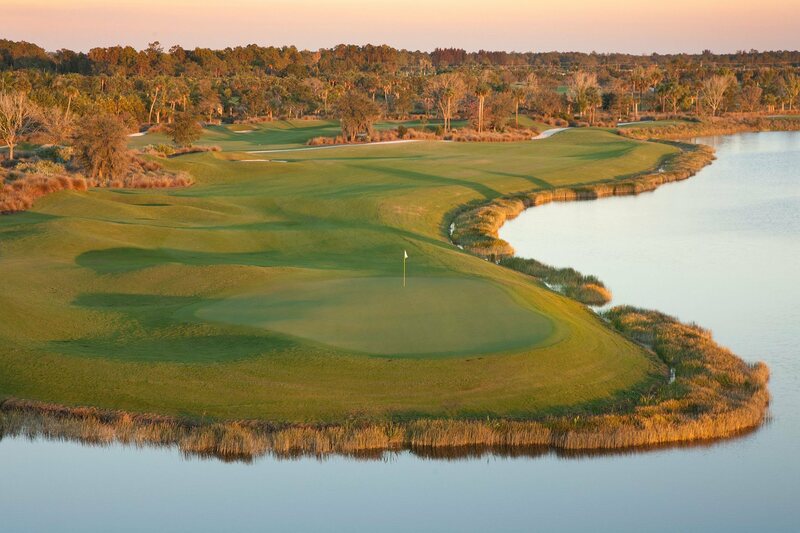 At TPC Treviso Bay, remarkable golf is just the beginning of an outstanding PGA TOUR experience for Golf Zoo Guests. *Please note that TPC Treviso Bay is not available for outside play January - March.